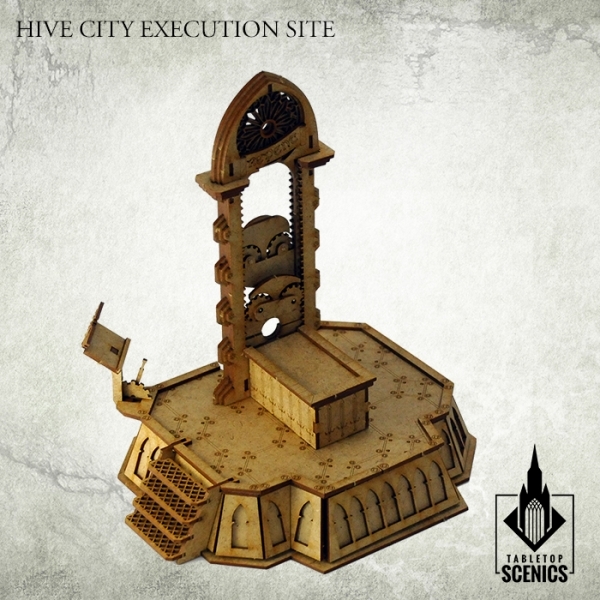 Contents of this frames may be used to make one Hive Execution Site structure. 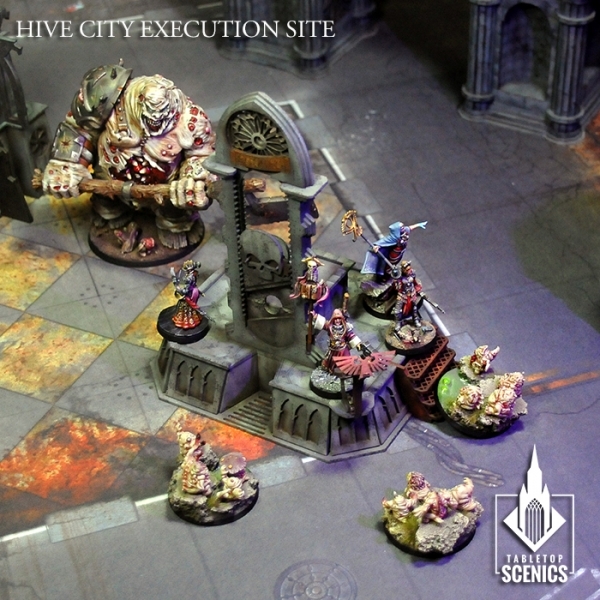 Please note that Kromlech models seen on pictures are not part of this set and they are sold separately. 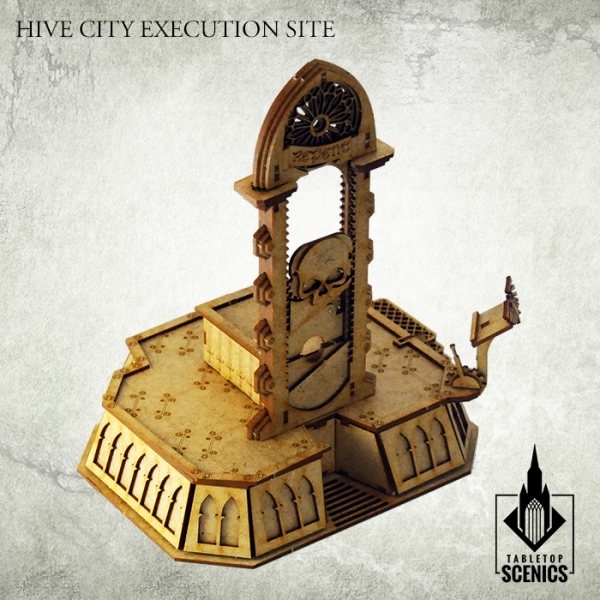 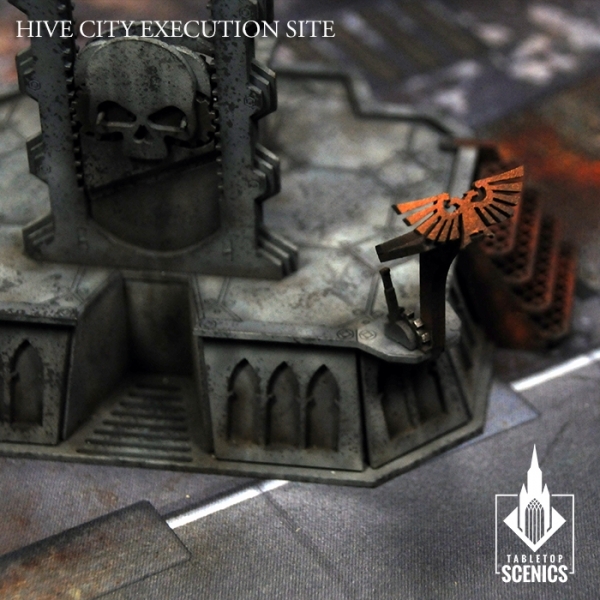 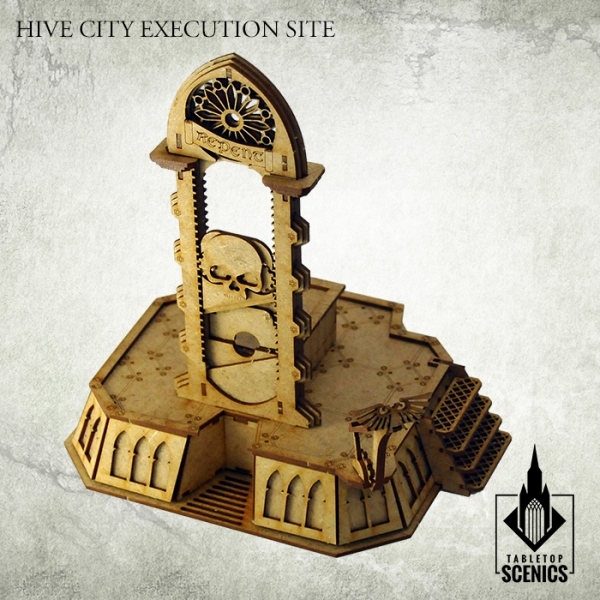 This set contains elements to assemble 1 Hive Execution Site. 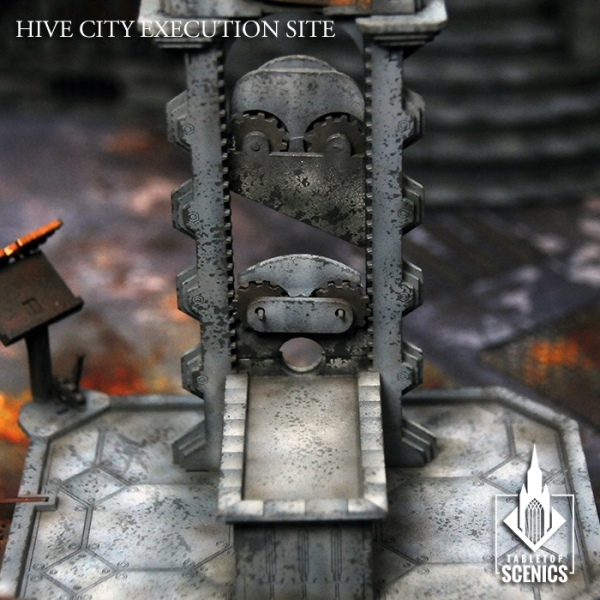 Sometimes Imperium must make an example of someone to keep masses in order - by fear of punishment. 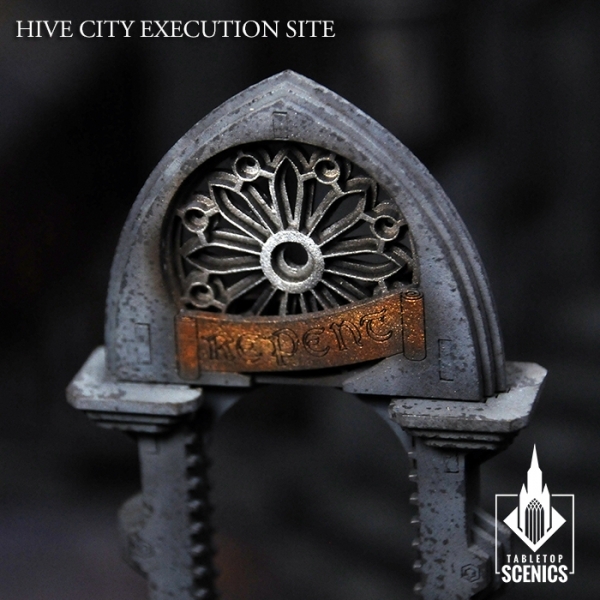 This guillotines are widely spread among squares and in front of cathedrals. 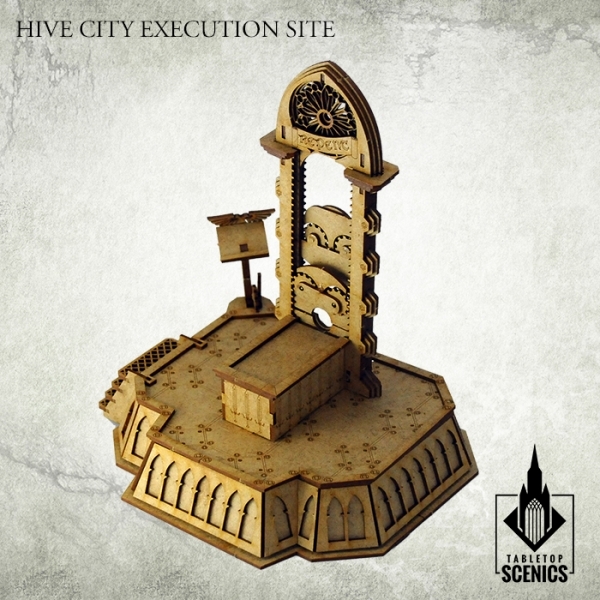 Once the execution is announced through the speakers around the city, citizens gather to hear the crimes of convict. 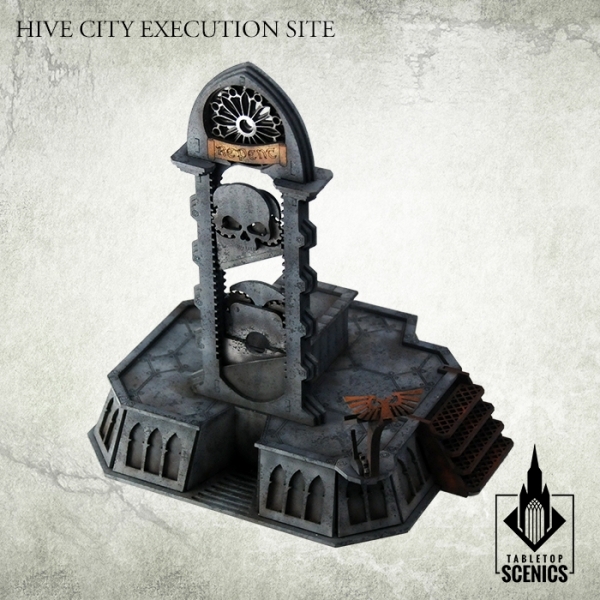 More than once rebellions started in such places, with judges being decapitated by those, who were previously threatened.